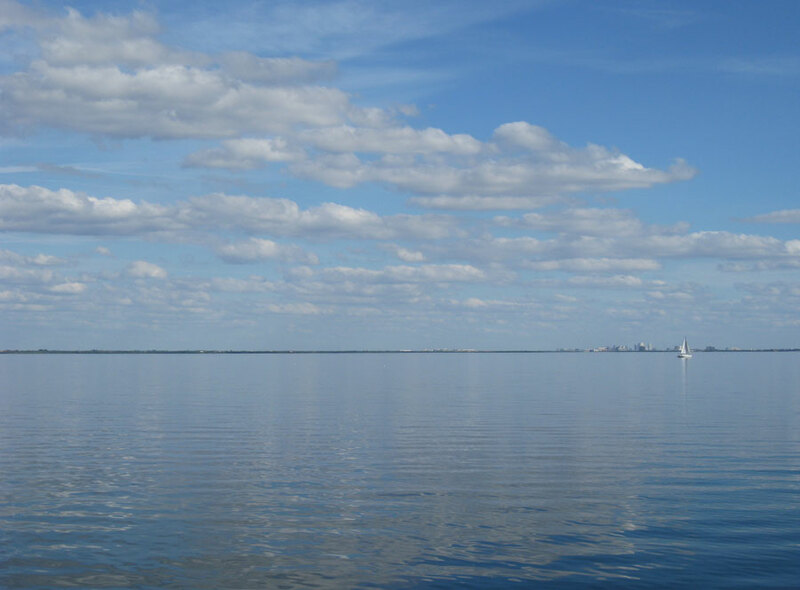 Troubles seem far away in the serene view from Safety Harbor, Florida. When the waters rise over your own doorstep, climate change hits home. Politicians who view this critical issue as simply another chip in the electoral poker game are gambling not merely with their own careers, but with the future of our planet. And I, for one, am fed up. The factors driving global warming have been well understood by scientists for decades. Back in 1970, the first Earth Day was a call for sanity. Yet our flagrant destruction of the environment and our rapacious consumption of oil and coal continue. Now, we stand on the brink of irreversible climate change. And still naysayers persist in their blinkered resistance to even modest efforts to reverse the trend. Belief is a curious thing. If you believe some deity has everything under control, I suppose you sleep better. But if you’re paying attention to the data here on Earth, you may, at the very least, consider building your own ark. Those who believe in modern science, and are grateful for medicines and airplanes and safe drinking water, to name just a few nifty science-based ideas, would like to see more emphasis on rational thought in our government. Admittedly, it’s tough to be rational when you’re human. I know. I’m as irrational as the next person. I’d like to believe there’s a happy ending for every story, a perfect solution to every problem, a safe harbor for all the ships at sea. But these days there are new pirates, and not only at sea. In our internet dominated world, invisible pirates can steal property, identities, and undermine security. The unsettling result of this sort of piracy is that it fuels a kind of knee-jerk paranoia. We don’t trust our government, our law enforcement, our banks. Yet it’s human nature to want something to trust, to desire community, to seek fellowship with our fellow humans. Many humans rally around religious beliefs, which seems like a fine idea, until intolerance sets in. However, on the subject of global warming we really have to get over our intolerance of each other. We’re all in this thing together. When the seas rise, as they will sooner rather than later, we, or our children, will have to share whatever dry land remains. On the west coast of Florida, where millions of people retire, lured by balmy temperatures, flat terrain, and low prices, life is quiet. Palm trees and pelicans define the landscape. Yet in the not so distant past the west coast of Florida was regularly terrorized by pirates. In the late 18th and early 19th century the threat of pirate attacks was real, so much so that the small city of Safety Harbor earned its name because it was situated so far from the pirates’ habitual route that it was considered a safe harbor. These days the pirate history is celebrated with an annual festival in Tampa and Safety Harbor. Pirates, like parrots and piña coladas, are just part of the tropic ambience served up to tourists. 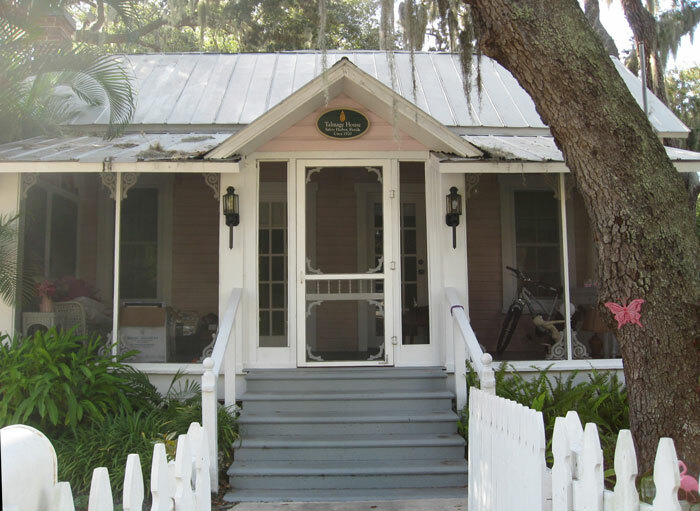 Picturesque cottages on the quiet streets of historic Safety Harbor offer a glimpse of Florida’s charming past. The town of Safety Harbor is quaint in places. Giant trees draped with Spanish moss shade the historic district, where pockets of old Florida remain hidden behind newer super-sized waterfront development. The town is 20 feet above sea level. For now.